Review Summary: On the whole JODI NO. 1 has two strong points ? the impressive names in its cast and crew and some rib-tickling moments. On the whole JODI NO. 1 has two strong points ? the impressive names in its cast and crew and some rib-tickling moments. 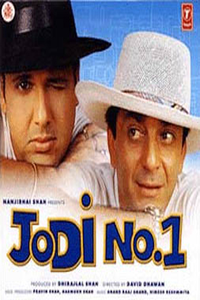 Jodi No 1 is all that a Govinda fan could dream of. By now, we know what to expect from a David Dhawan film.